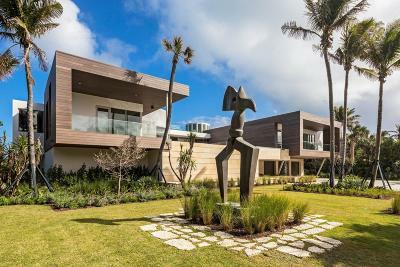 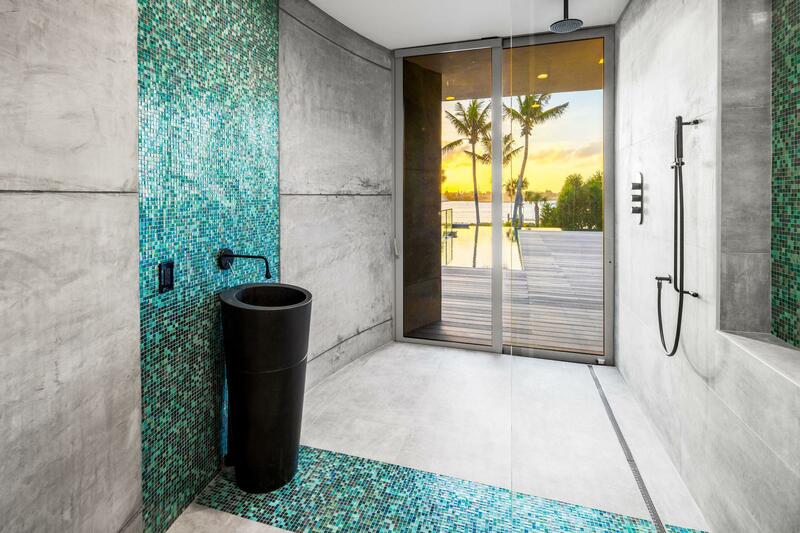 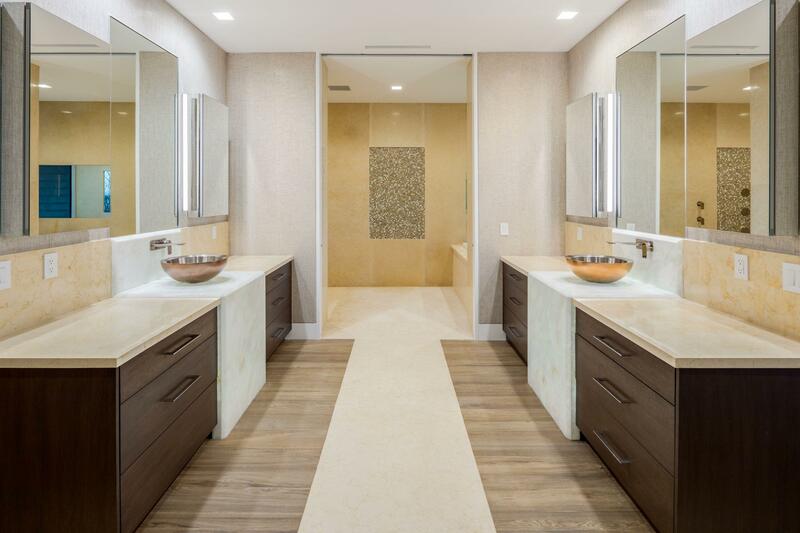 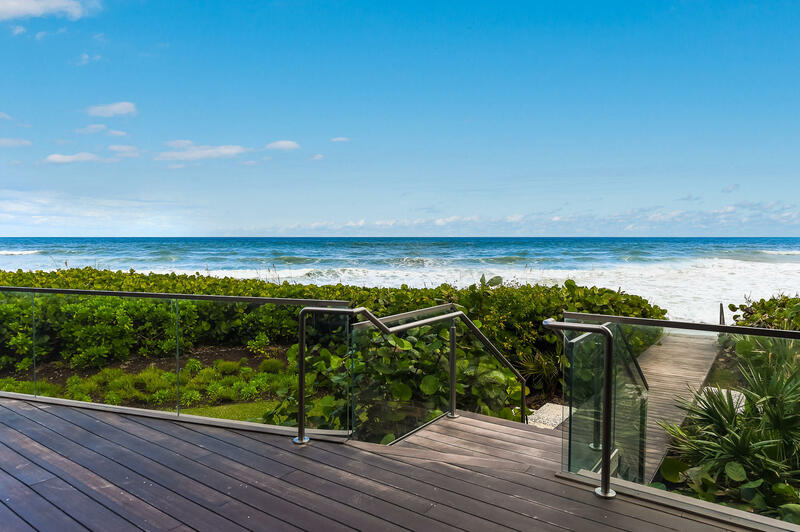 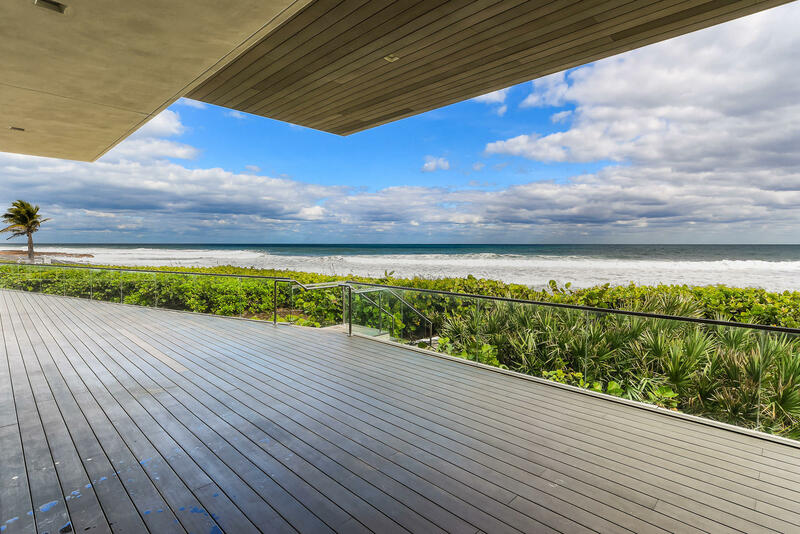 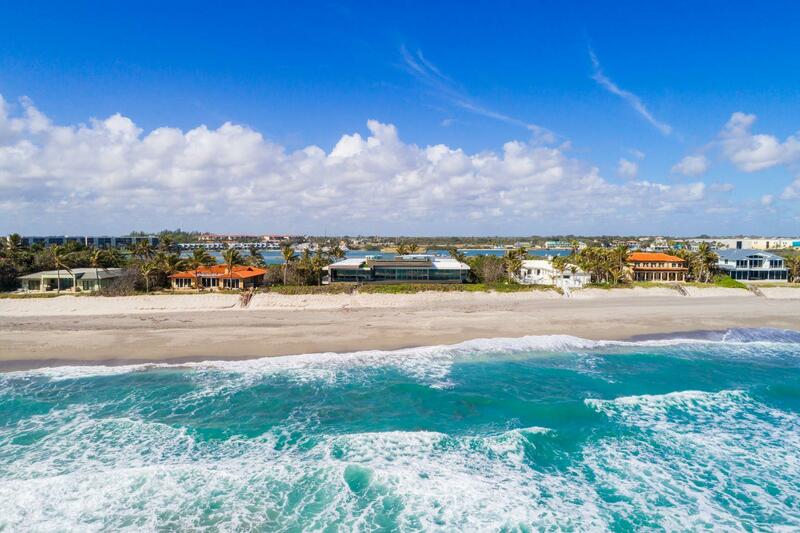 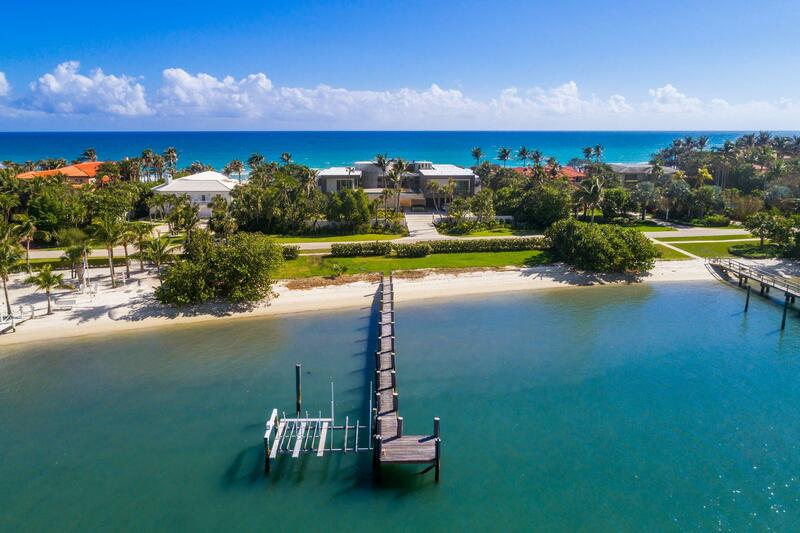 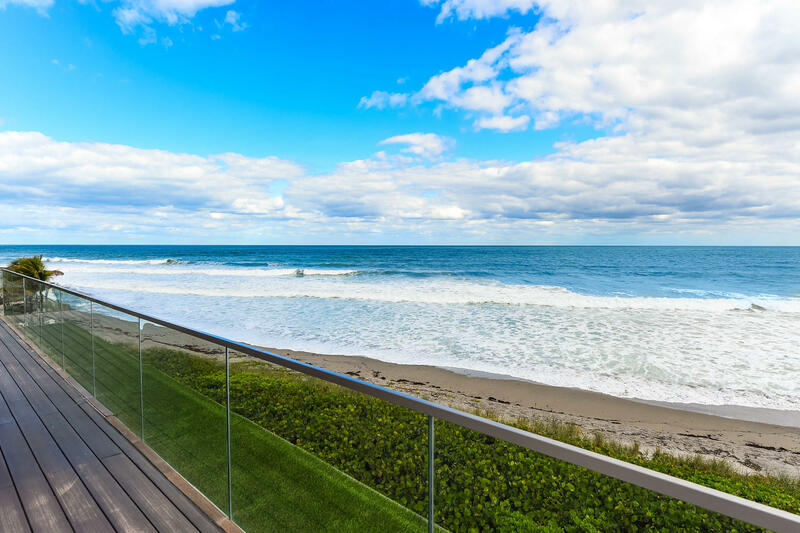 One of the most innovative (certified LEED) and inspirational direct ocean front estates on prestigious Jupiter Island is a true one of a kind trophy! 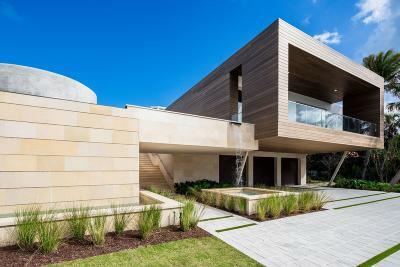 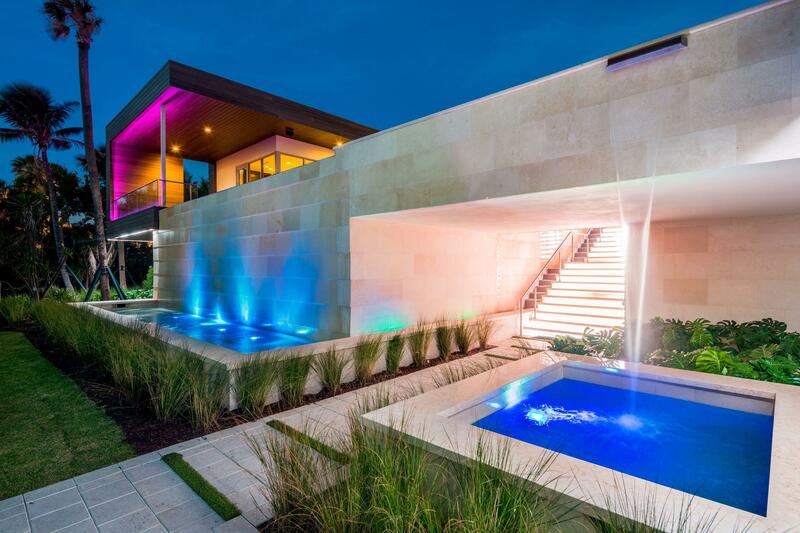 Architect Scott Hughes has created a most visible and long -lasting form of expression to be savored for its sprawling and significant three level and stunningly detailed design in the most magnificent ocean to lake setting. 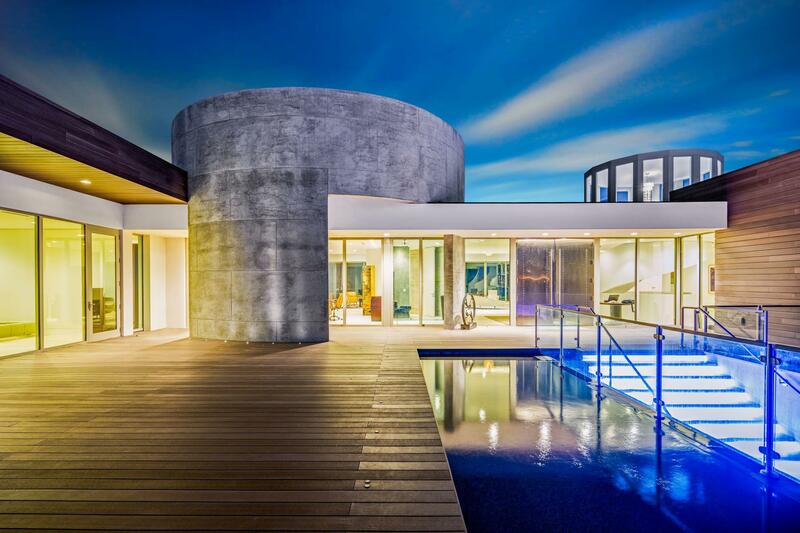 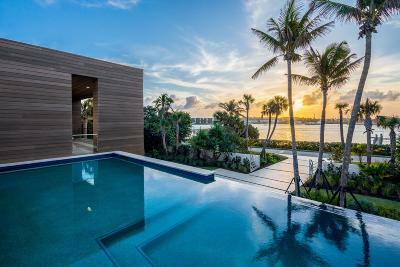 It embraces its far reaching ocean surroundings with walls of glass and an easy flowing floor plan taking advantage of its large scaled indoor/outdoor spaces and phenomenal infinity pool. 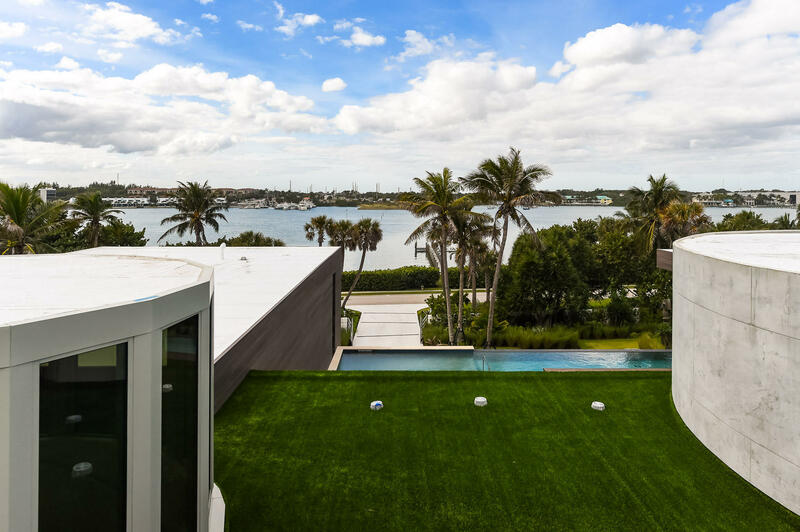 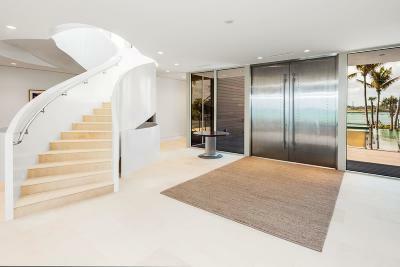 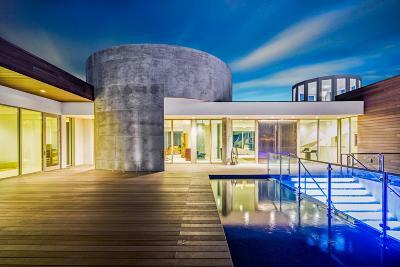 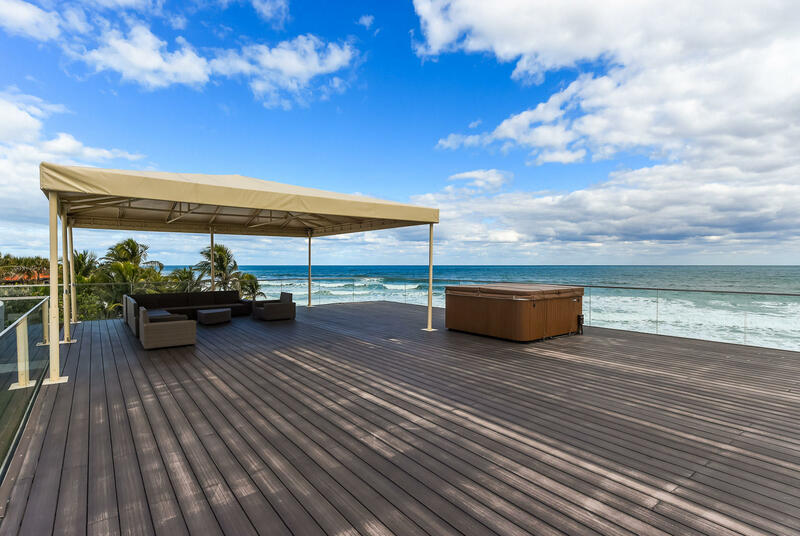 Spanning 17, 630+ sf, it features its own extravagant rooftop terrace with hot tub and covered area with unparalleled ocean and intracoastal views that cannot be duplicated again in this coveted area. 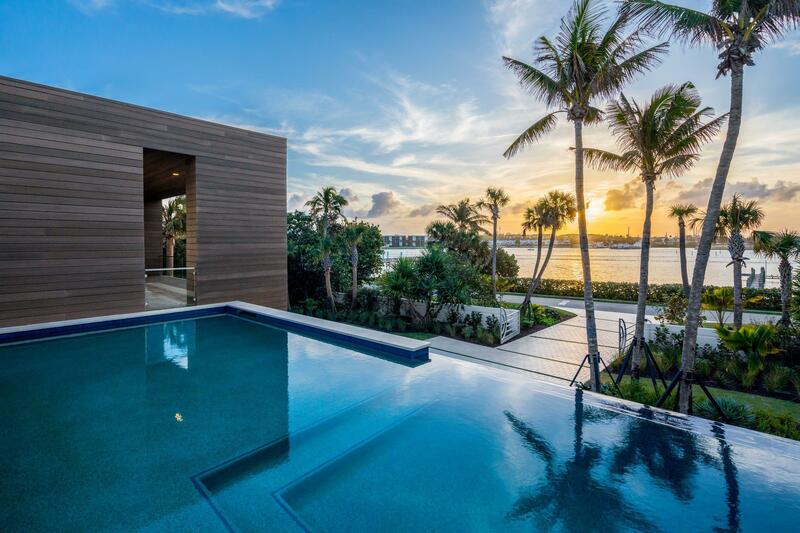 Includes 100' dock. 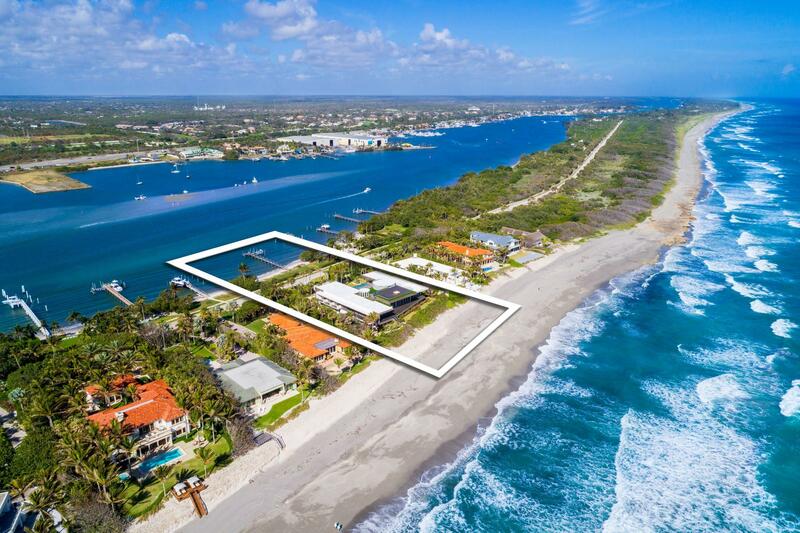 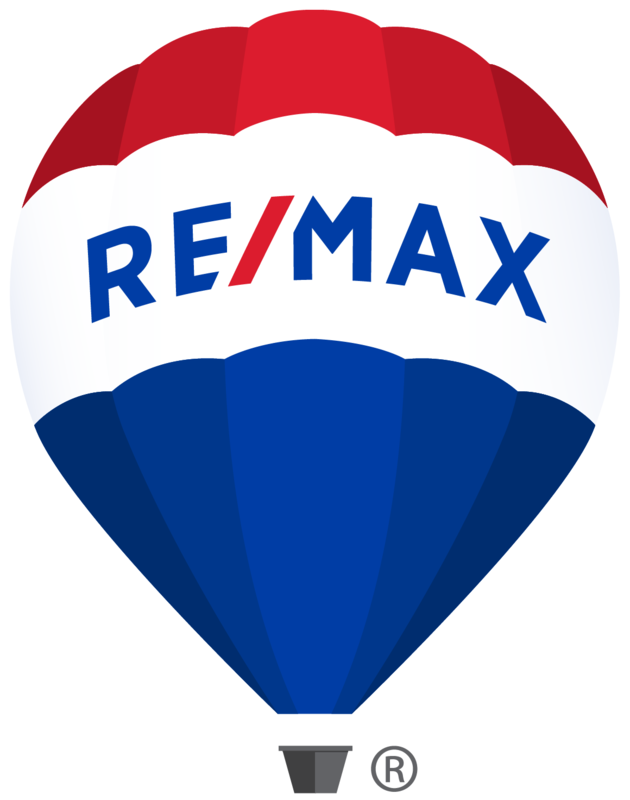 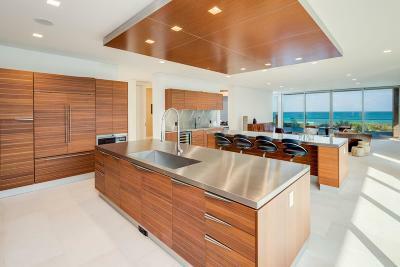 Waterfront: Directly On Sand, Intracoastal, Ocean Access, Oceanfront Yes 193 Ft.